I am truly thankful and blessed to have such an amazing smile created by you. I had always hated my discolored and somewhat crooked teeth. I had spots on my teeth and even if I bleached, the whites got whiter and still didn't look great. 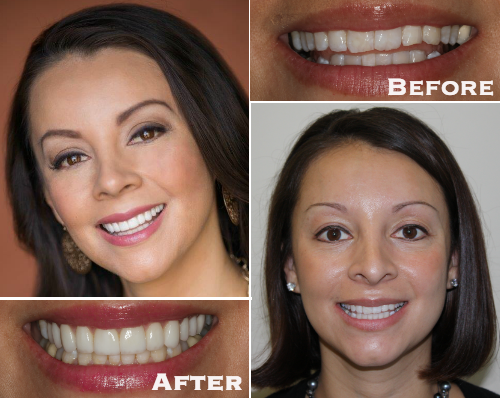 I started with Invisalign which helped my bottom teeth which was my main problem with being crooked. The decision to get veneers made my smile absolutely perfect. I love my teeth and my smile. I get compliments weekly and I am so happy that I invested in my smile! Thank you for helping me become a better me!